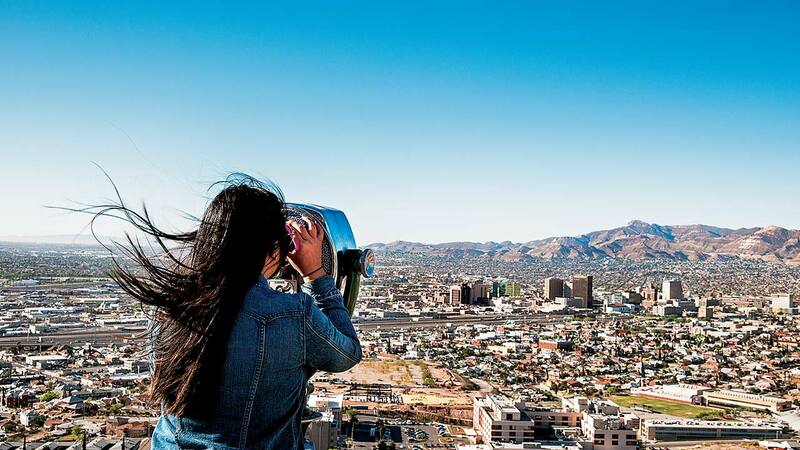 The city, El Paso is situated at the western tip of enormous state of Texas, where Texas, new and old Mexico meets, making it the largest metroplex in the world. Being the sunshine one, the place is known as “The Sun City”, as sun shines 302 days per year on an average giving the city 83% of day light hours. Tucson is best known for the University of Arizona. Situated on the border of US and Mexico, at the deserts and covered by the mountains from all sides, it is the great spot to spend weekends for couples. This beautiful area has something for everyone. Witness some great craft and just go for sightseeing, like for hike, and live in the history of museums. Many more attractions like The Tucson zoo, Pima Air and Space Museum, Saguaro National Park makes your weekend go crazy. With only 316 miles away, you can even enjoy the road trip and reach within 4-5 hours. Quality Inn Flamingo, Grand Luxe Hotel and Resort, Arizona River Park Inn and Econo Lodge are the best places to stay in Tucson. For fun and discovery full weekend, choose Odessa for yourself. It has rich experience in historical information, which may help you explore more and learn about. This attraction has more such places like The Sniper memorial, The Stonehenge Replica, Music City Mall, The Global Theatre, McKinney Park, Allen Noel Art Museum. Here, springs starts with cool breeze and on April 1 the city hosts the famous humour festival. All seasons are the best to visit, so you can choose accordingly. It has the distance of 284 miles from El Paso, so it’s always suitable to go on weekends, within 4-5 hours. Stays at the Best Weekend Getaways from El Paso includes: La Quinta Inn, Towne Place Suite, Comfort Suites and many more. A small village cradled in the Sierra Blanca Mountain range, this tourist place is best known for its picturesque sights especially during the winters when it is covered in snow, uplifting the beauty many times. It would take only two and a half hours to reach Ruidoso. Visiting Ruidoso in summers and you can enjoy the horse race or go for a hike, whereas in winters is perfect for skiing and snowboarding at Ski Apache, not forgetting about the casinos after all. Popular for its bat flight program, this city is placed in southeast New Mexico and will leave you surprised with its charming lakes, Caves and beach parks. It would take only 2 hours and 45 minutes car ride to reach Carlsbad. Carlsbad National Park Entrance, King’s Palace, Lion’s Tail, Giant Dome are few of many things to seek. The Rodeway Inn, Super 8 Carlsbad, Great Western Inn and Suites, Econo Lodge and Carlsbad Inn are some good and affordable choices for a weekend fun in Carlsbad.